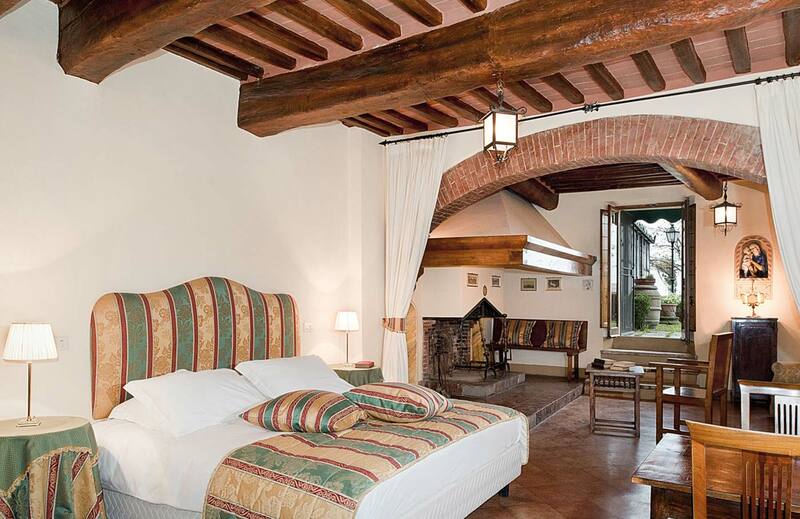 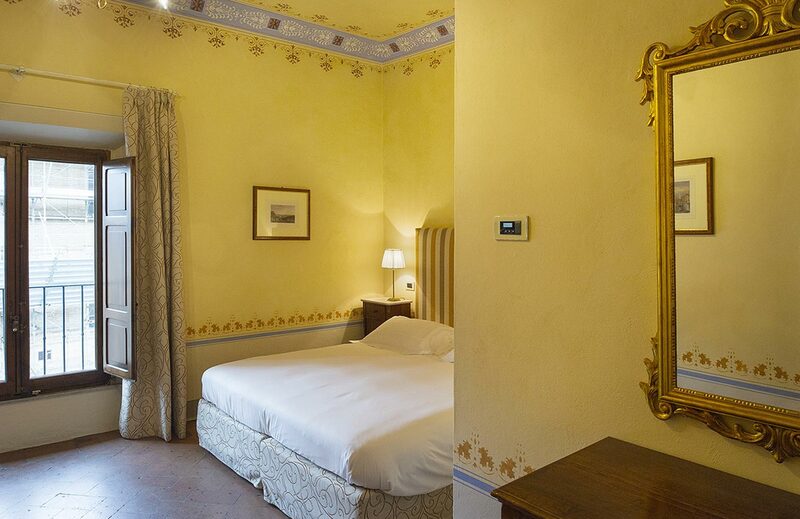 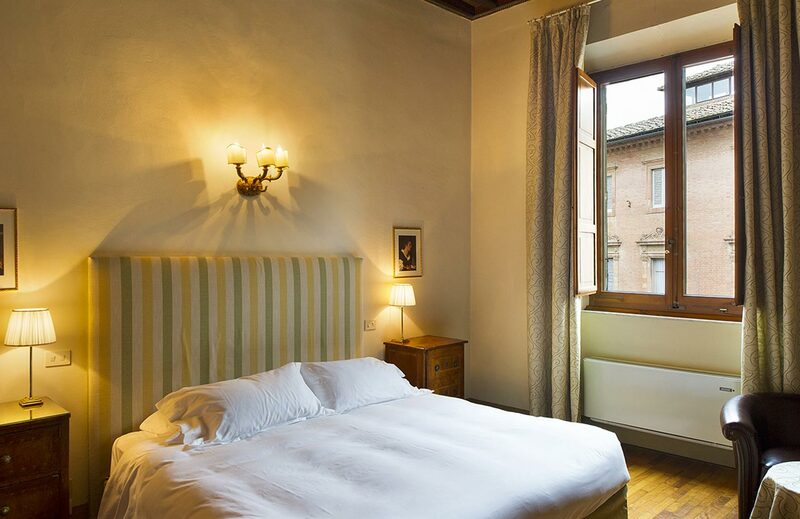 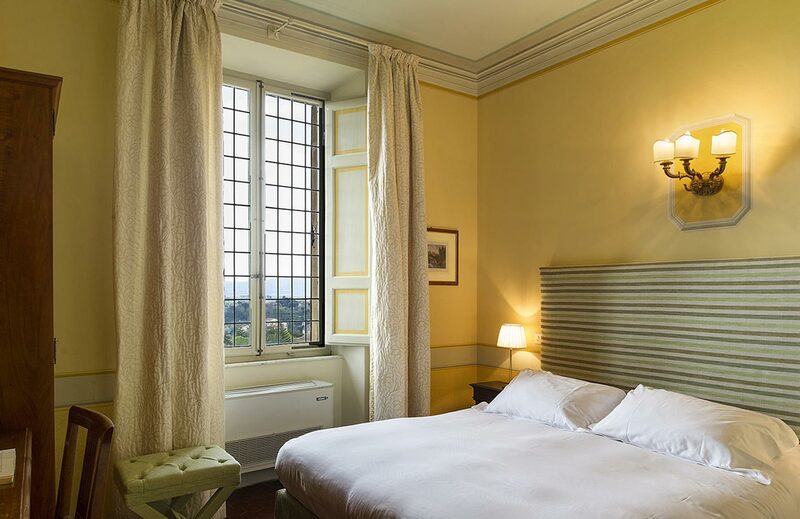 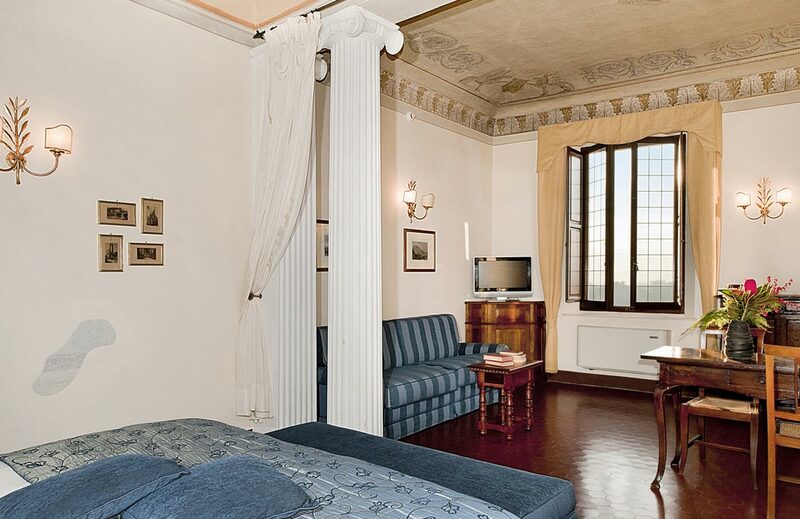 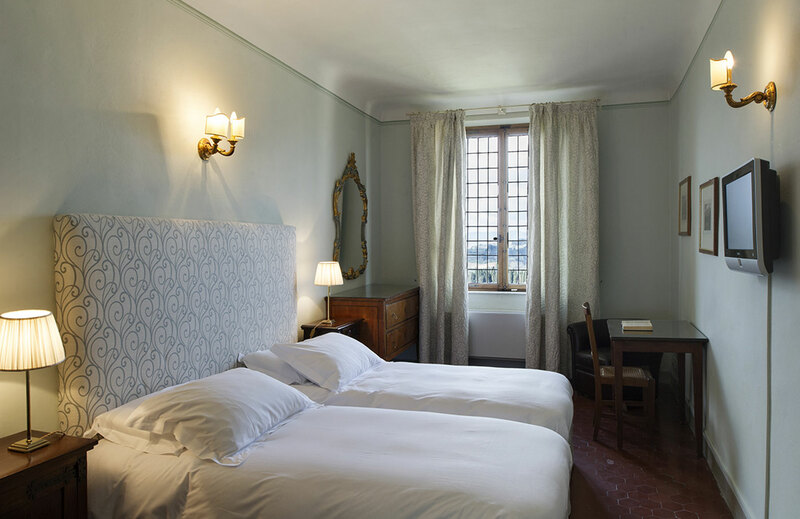 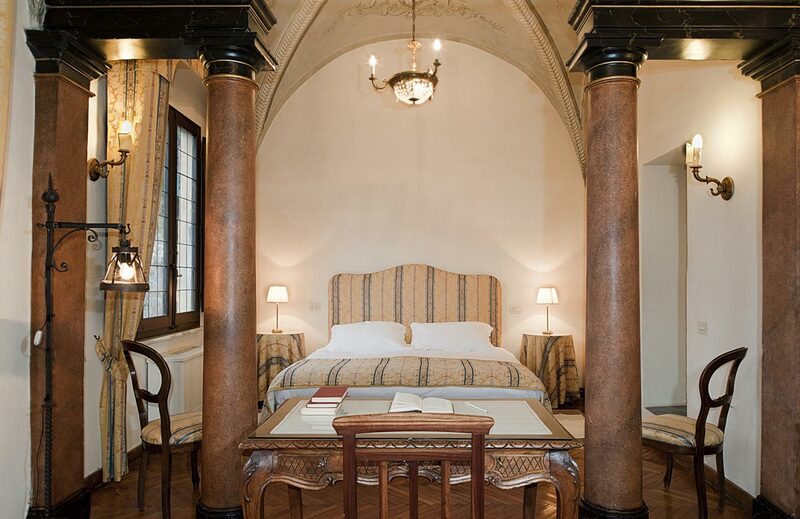 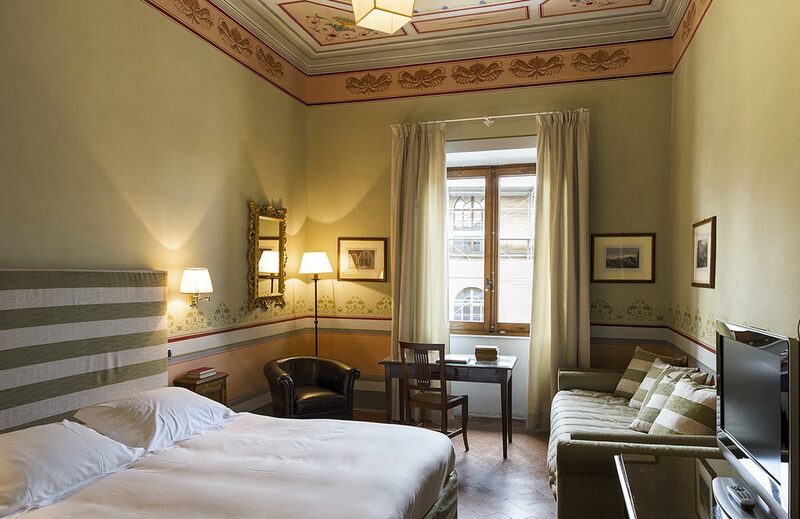 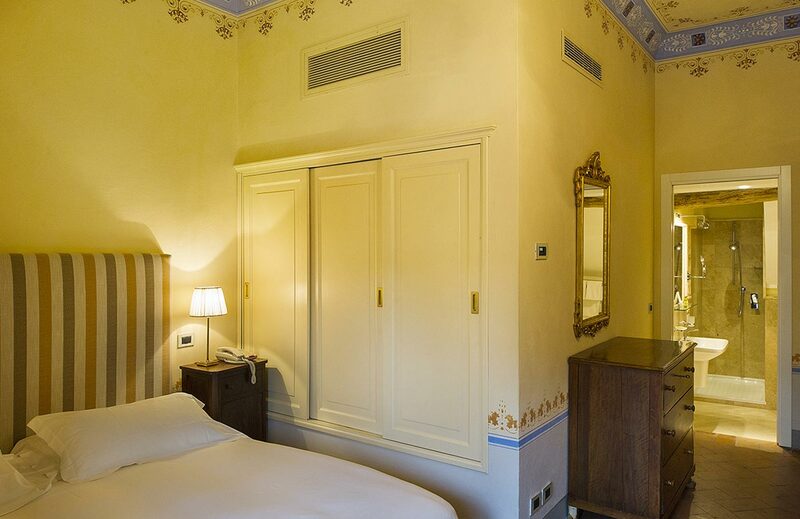 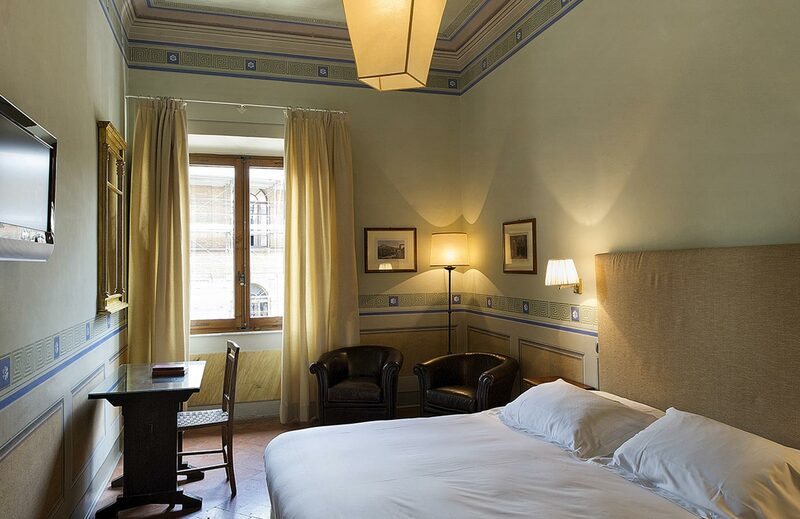 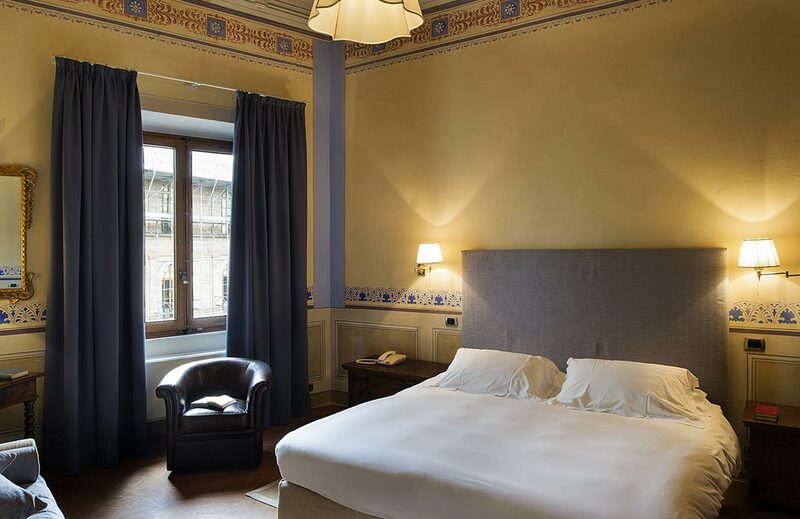 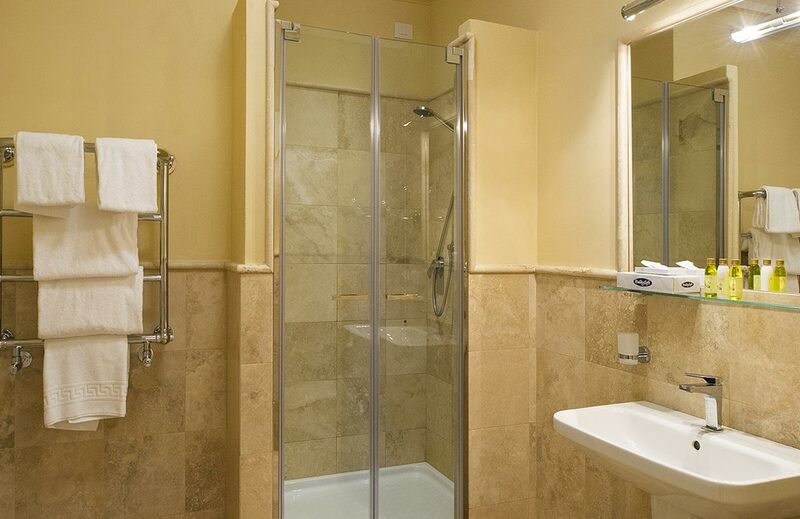 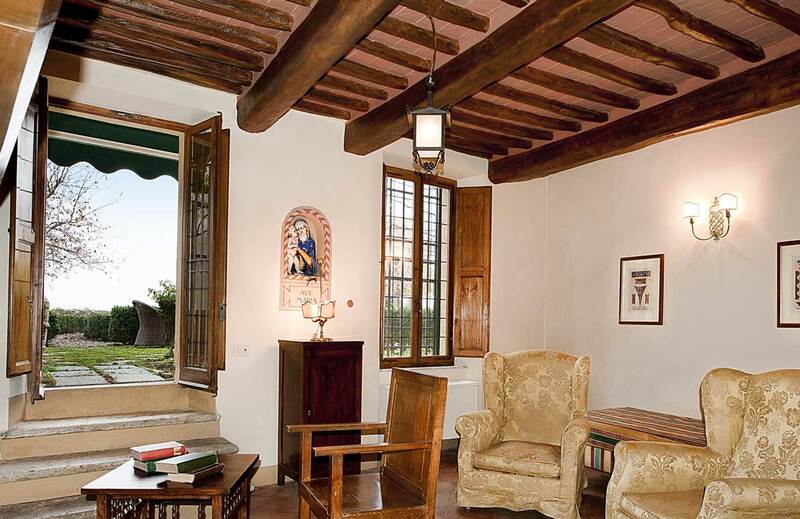 At Palazzo Ravizza you can choose between rooms and suites that have maintained the original design that this dwelling has from the Twenties, with the appropriate modernization that have made them more welcoming and comfortable. 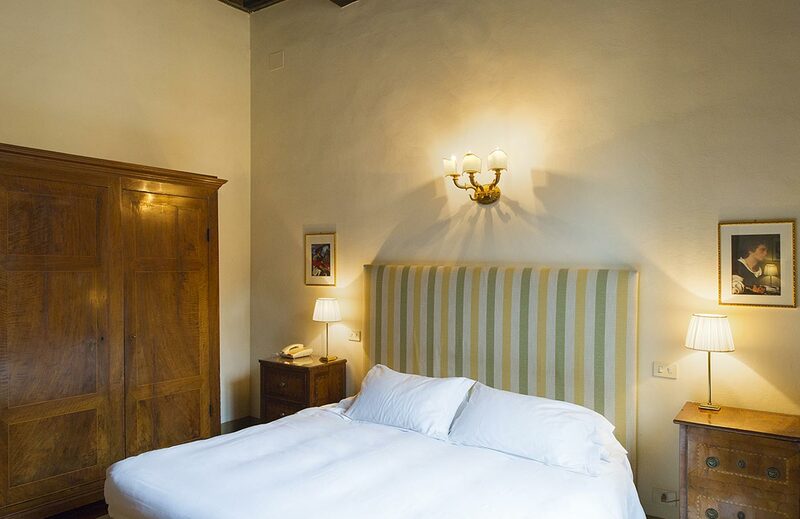 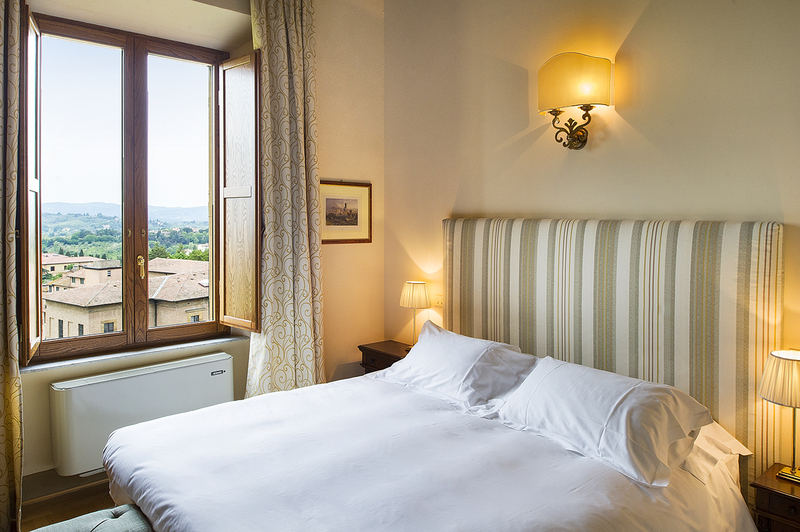 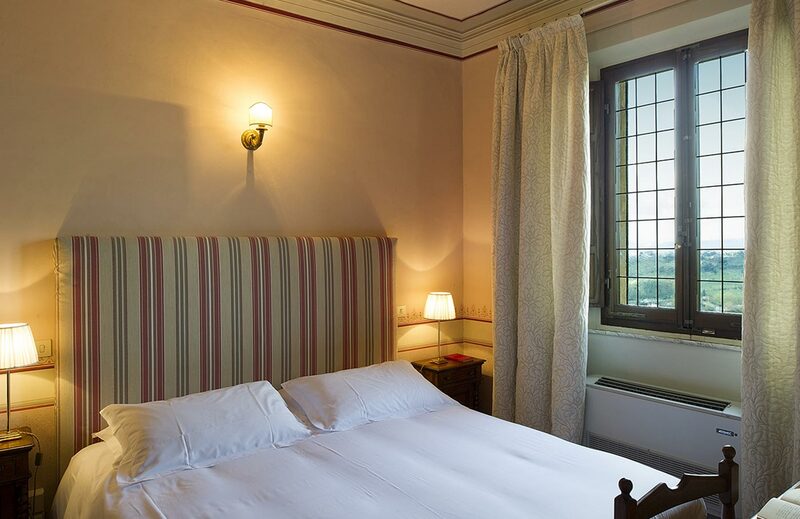 The rooms overlooking the garden offer a picturesque view of Sienese hills and are very appreciated by the most romantic guests. 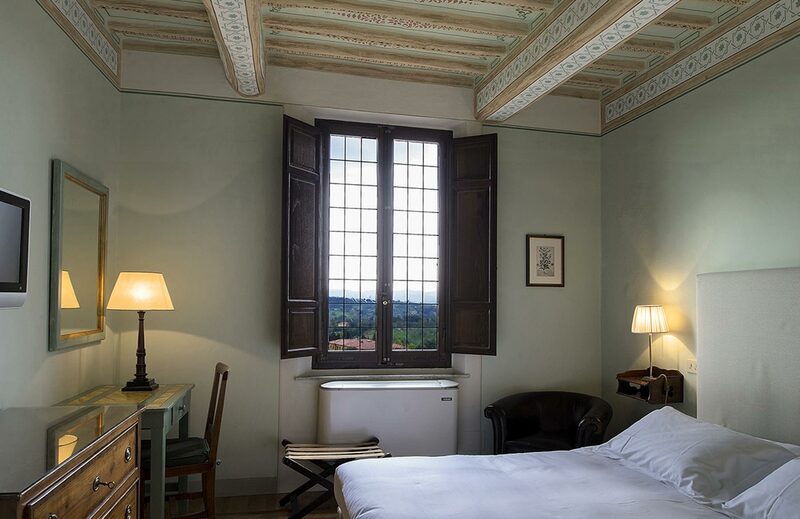 The rooms on the facade of the relais are the largest and boast a peculiar elegant style, conferred by the XIX century wall decorations, restored with great preciseness to give back the original charm to these accommodations. 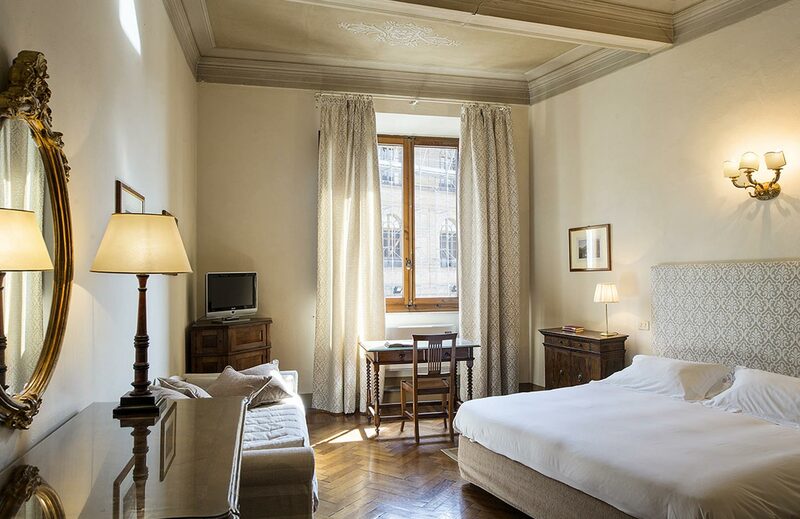 Suites were in the past reserved for Mrs Frick’s family, who helped make Palazzo Ravizza the ideal place for the most demanding travelers. 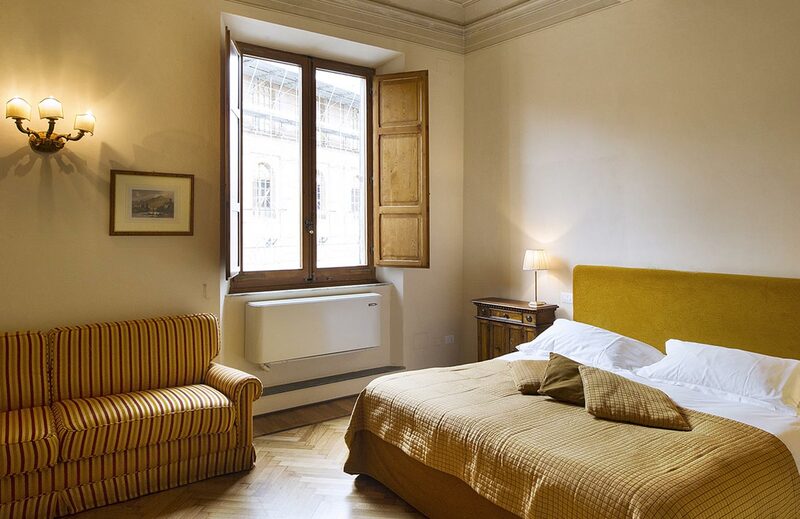 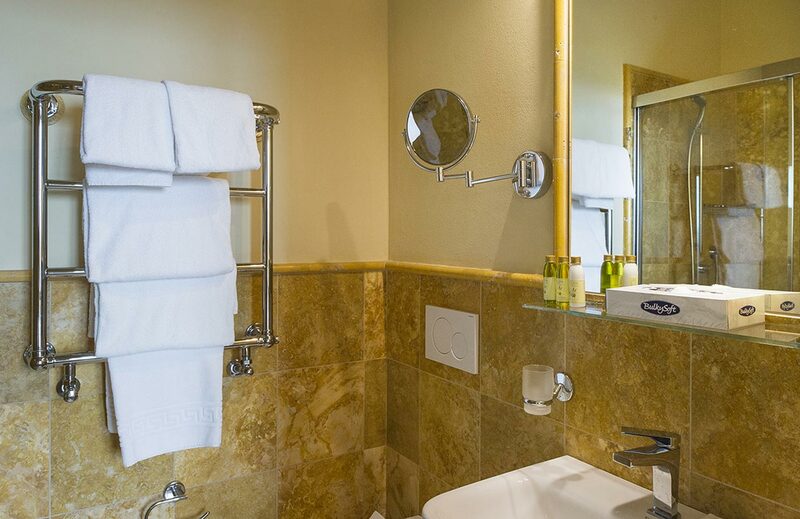 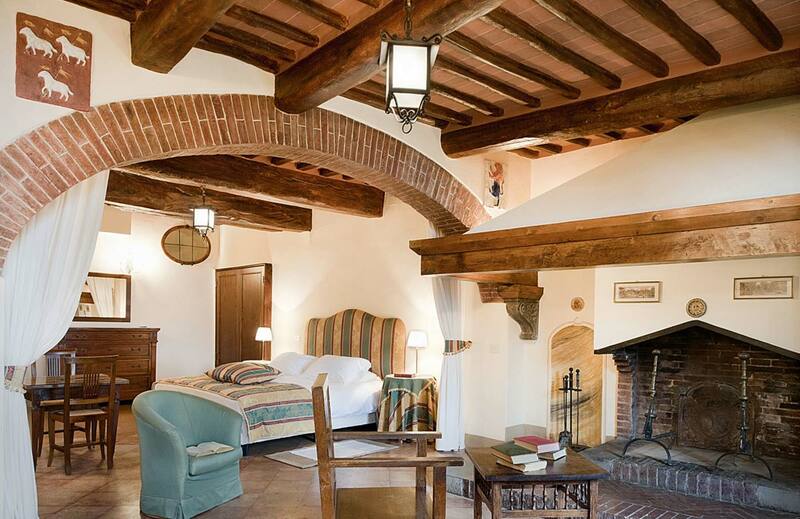 Today, the suites welcome guests wishing to spend a high-class stay in the center of Siena.